In skillful hands, wooden frames and iconic Russian toys transform into contemporary works of art. The century-old, and in some cases older, traditional Russian folk handicrafts like Gzhel, matryoshkas, khokhloma, Zhostovo painting, Palekh miniatures, and Vologda lace make popular souvenirs for tourists visiting Russia's major cities and serve as a source of great pride for local craftsmen. Patterns native to Russia often inspired fashion designers who used familiar Russian prints on clothing and accessories. Only recently, however, have contemporary Russian designers and artists begun to reinterpret Russia’s rich folk heritage. Here are just a few bright examples. The plates in gzhel style. The first elegant, porcelain HALF&HALF plates with white and blue ornamentation in gzhel style were produced in the legendary Obiedinenie Gzhel factory last year. Anna Kulachyok created the modern design that uses classical color motifs and geometrical patterns. 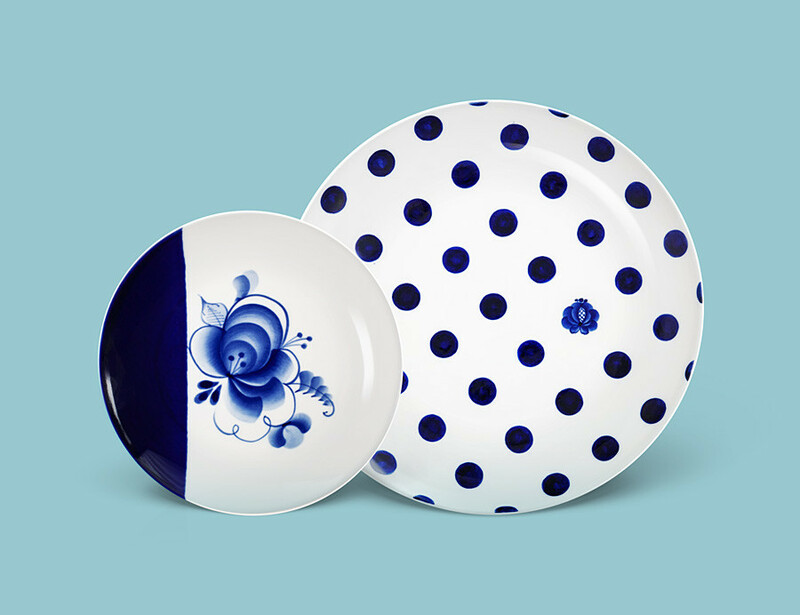 This autumn, the company decided to produce a limited supply of table version plates (27.5 cm) in two colors. Next year, the brand owners intend to continue the series with the same print, as well as produce cups, sugar bowls and other objects. The huge, almost two-and-a-half-meter-high toy first appeared in September at Moscow’s Cosmoscow Art Fair and became the center of attention for selfie lovers. The sculpture is interactive: wearing a glove, you can push it and observe how, after some wobbling, it reassumes its original vertical position. Sculptor Grigory Orekhov used the popular Soviet “nevalyashka” toy (an upright doll with a round heavy base that is weighted such that when you try and push the doll over, it springs back upright) as a prototype for Agata, but also drew inspiration from Jeff Koons’ “blow-up” sculptures. 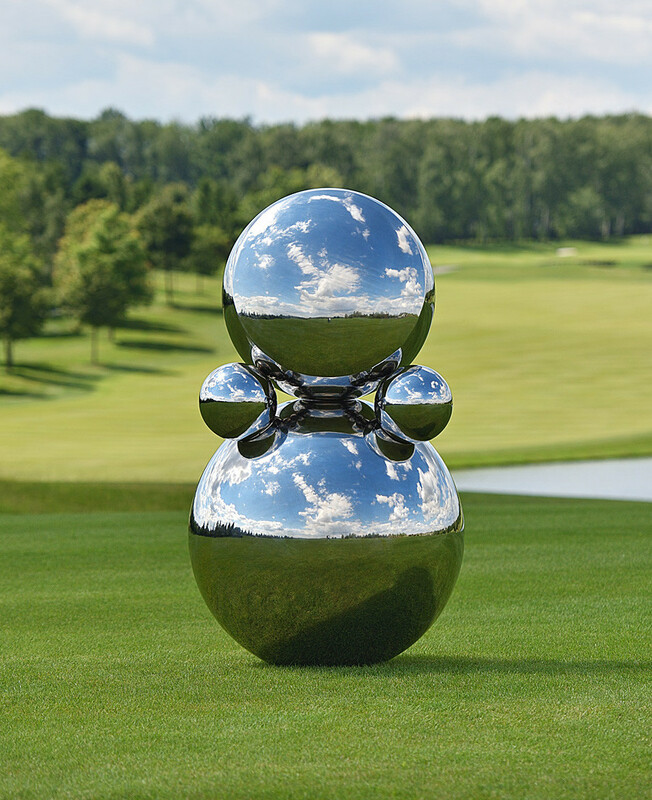 The work is made of polished steel and can be used as an entertaining garden object. After having graduated from Moscow’s British Higher School of Art & Design, Vitaly Zhuikov began designing fun furniture and interior objects. 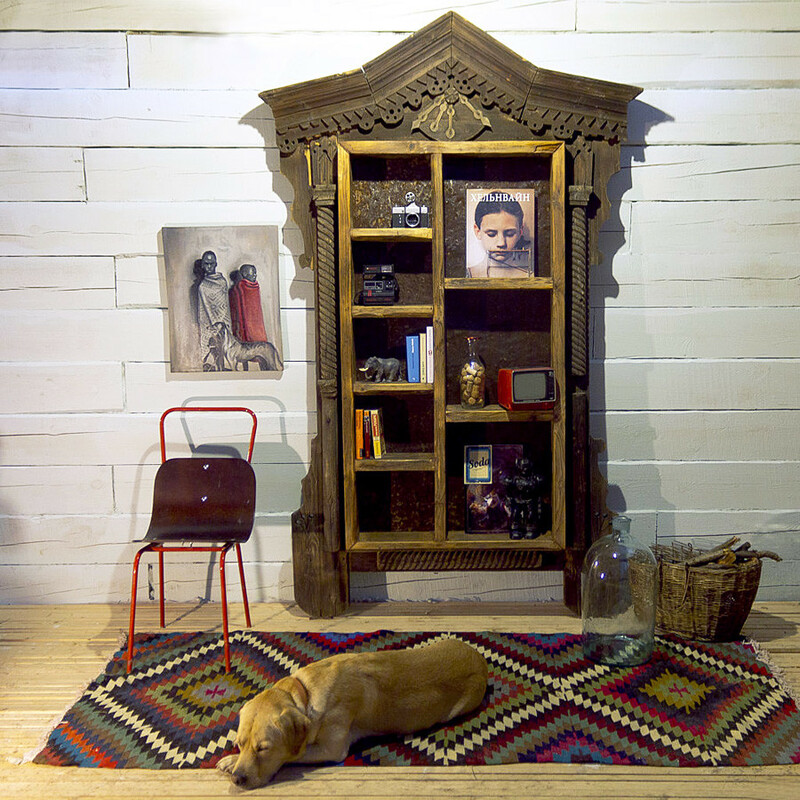 Among his most charming works are the closets, mirrors, and shelves from his PORTAL Collection. For these, he uses window frames with unique shapes and colors, which he finds in villages and small towns across Russia. This particular exterior window decoration was very common in the 19th century. He uses a diverse set of motifs in the carving patterns, from fairytale firebirds to images of flora and fauna to family coats of arms. Russian designer and winner of the 2014 Elle Best Decoration of the Year Award, Dima Loginoff, has worked with several famous brands such as Artemide and VitrA. Last year, for the Italian brand Axo Light, he produced a series of Fedora lamps. 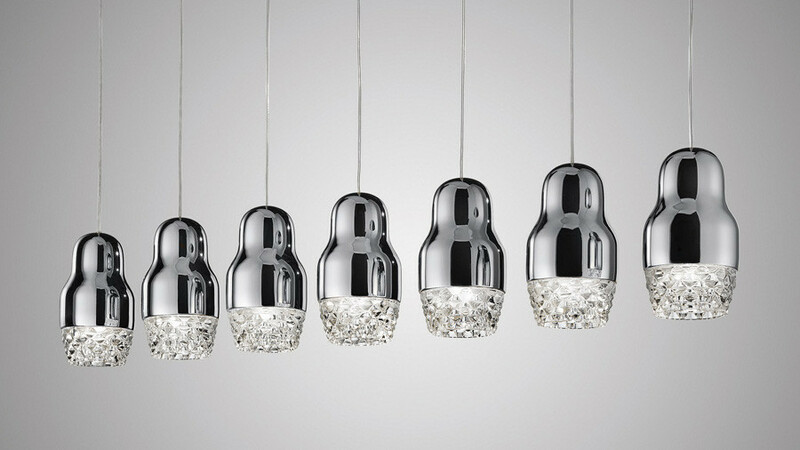 The lamp design was taken from Russia's most iconic toy – the matryoshka – whose form has inspired many western designers, including Martin Margiela. Having preserved the silhouette, Loginoff's lamps consist of two parts just like the matryoska: the upper part made of shiney aluminum and the lower part made of transparent glass.